There are several plumbing problems that you will run into throughout the years of living in your home. From clogged sinks to burst pipes, you will likely face a variety of plumbing issues. While some of these issues can easily be taken care of on your own, there are others that you should never attempt to fix on your own. When you need a plumbing expert to help you with your worst plumbing problems, Cupertino Plumbing can help! Our plumbing experts offer a variety of services to help you with your worst plumbing problems. But how are you supposed to know which issues to tackle on your own and which you should be calling a plumber for? In this blog, we will tell you! We are going to talk about the plumbing problems that you should never handle by yourself. Read on to learn more and contact us today! While having low or high water pressure may seem like an easy plumbing problem to fix, this is one issue that you should never attempt to handle on your own, no matter how horrible your showers may be. Low water pressure may be caused by a number of different reasons, from something blocking the pipe to a cracked pipe. If your water pressure is weak or you notice that it suddenly is a lot weaker than it once was, you need to call a professional. Problems with your water pressure could be caused by a very serious problem, which is why a professional plumber should be there to help you. If your water pressure is too high, this could wear your pipes out over time and cause problems in the future. Water heaters should always be serviced by a professional plumber. 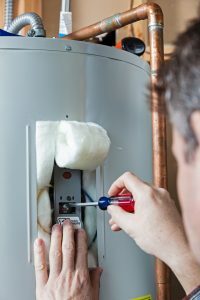 Most water heaters have a unique set of features that make them different from others, so simply looking up a YouTube video on how to fix your water heater will certainly not work. If you try to fix your water heater on your own, you may make the situation much worse. The same goes for installing a new water heater. If you have purchased a new water heater and want to attempt installing it on your own, don’t! An electric water heater deals with a ton of volts of electricity. If you install it incorrectly, you could injure yourself or worse. If you are trying to install a gas water heater, you may end up with a gas leak. It is best to let professionals fix any of your water heater issues and install your new unit for you. Hopefully, this is one task you would never attempt on your own, but if you are thinking about a DIY pipe replacement, we recommend not doing it. Whether it is a water or sewer pipe, a professional plumber should take care of the replacement for you. Trying to replace the pipe on your own may make the situation much worse and cause damage to other components of your plumbing. If you notice that your water pressure is suddenly low, you have soggy spots in your yard, or your water is discolored, it might be a problem with your water line. When you have a water line problem, you should call a professional immediately to get it fixed! If you try to fix this issue yourself, you will likely cause more damage and spend more money getting it all fixed down the road. Instead of making this a project you work on yourself, let a professional plumber handle it from the start, you will save time, money, and prevent any additional issues. If you are remodeling parts of your home, you will want to make sure you get a professional plumber to help you with any plumbing updates. If you have to install a new sink, tub, pipes, or other plumbing fixtures, you will want a professional’s help. They will be able to properly install everything, which will allow you to avoid issues in the future. If you try to install any plumbing fixtures on your own, it is possible that you will make a mistake that will cause damage or issues later on. Now that you know some of the plumbing issues that should never be taken care of on your own, we are going to talk about why hiring a professional is the right decision. There are many plumbing problems that can be taken care of on your own, but for others, a professional plumber is the right choice. Hiring a plumber for these issues can help save you time. 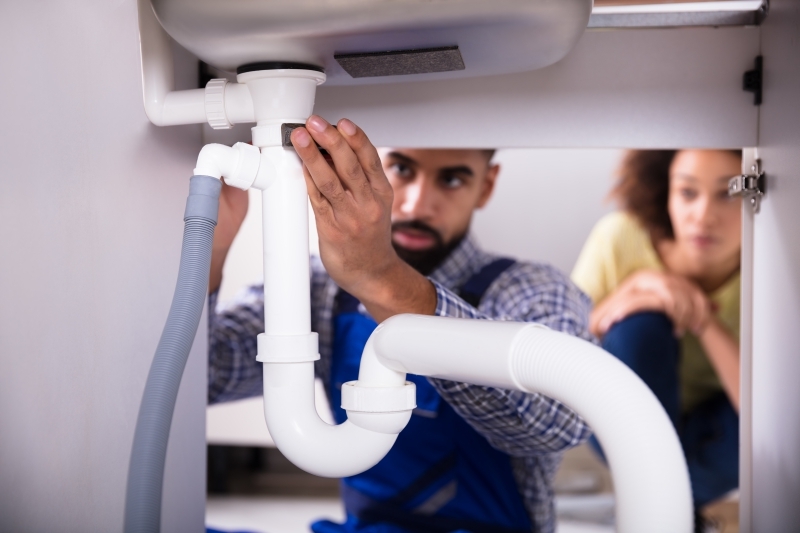 Learning how to fix these plumbing problems can be time-consuming and actually performing the DIY project will definitely take more time than necessary. Save yourself time by letting a professional handle it. You will also be able to save money when you hire someone to take care of these issues for you. When you try to fix these plumbing problems on your own, you may end up causing more harm than good. If you cause more damage to your plumbing or make the problem worse, you will likely be spending more money in the long run. A plumber will be able to fix the problem quickly and efficiently, saving you money. 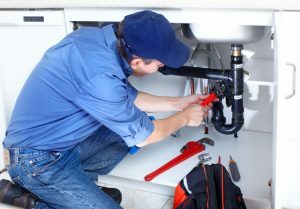 When you hire a professional plumber to handle your plumbing issues, you will get the job done quickly and efficiently and avoid any additional problems. Hopefully, we convinced you to avoid the DIY plumbing projects and let an expert help you out. There are a few plumbing tasks that you can take care of on your own, but if you run into any of the issues above, call a professional! If you need any plumbing services in the San Jose area, Cupertino Plumbing can help! Contact us today or schedule an estimate online! We look forward to helping you with any and all of your plumbing problems. Be sure to check out our services now!